The football book of the year Ian Herbert, Independent Thierry Henry -- gifted, charismatic and a genuinely world-class footballer -- has passed into Arsenal legend as the hero of a team that finally ended Manchester Uniteds dominance. But as he approached the autumn of his career, Thierrys crown began to slip -- from the infamous Hand of Gaul incident to a dismal World Cup 2010 campaign. Suddenly, a player who Arsene Wenger once dubbed the greatest striker ever, a man who had spent his career at the very top of the game, began to learn how lonely such a position could be. 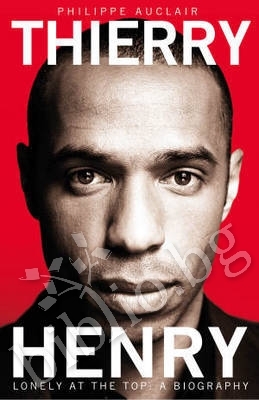 Благодарим Ви, че решихте да споделите с нас вашето мнение за "Thierry Henry: Lonely at the Top".